I have been blessed with the most amazing clients over the years. A couple years ago I got to plan a very special Sandals vacation for a local barber. He loved Sandals Whitehouse so much that for months afterwards, men walked into our agency on a weekly basis with fresh haircuts asking about a Sandals vacation. One of those men was Don. He and his wife Sue were new to the area and had not ever vacationed at an all inclusive resort. The barber sat Don down in his chair and handed him his phone so that he could look over his vacation photos while he told him all about it. I think we booked Don and Sue for their first trip to Sandals Whitehouse that same day. 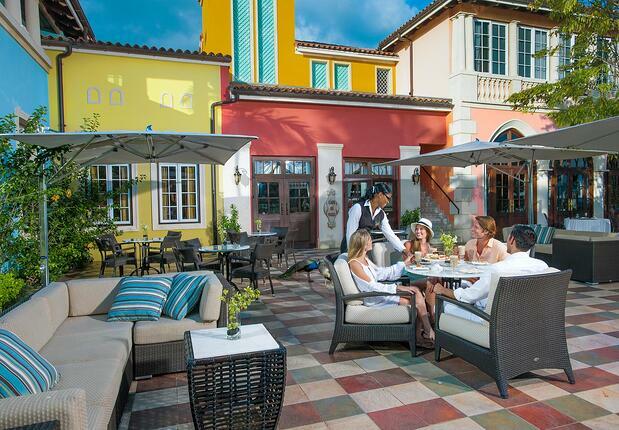 During their first visit to Whitehouse, Don and Sue enjoyed people watching from the patio area of Cafe de Paris - Sandals coffee house and pastry shop. Don and Sue don’t drink. But they love the social atmosphere of an adults-only all inclusive resort. They appreciate the personalized service that Sandals offers. That week they also made friends with a very special employee named Odane in the gift shop. Don and Sue were hooked. 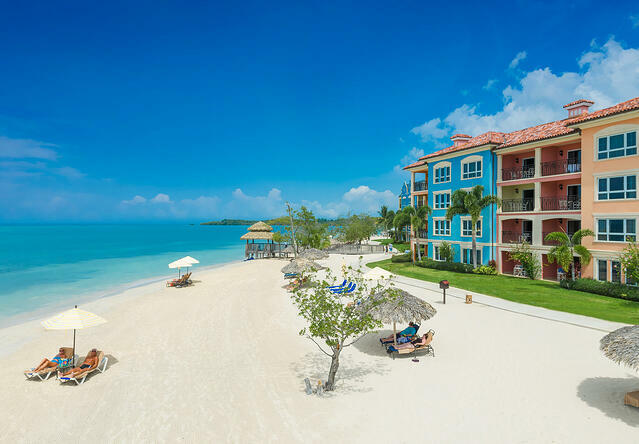 They visited two more Sandals properties within just over a year. For their fourth Sandals trip, they decided to return to Sandals Whitehouse. 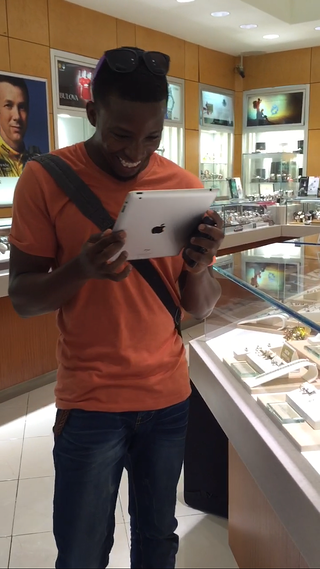 Upon arriving in Whitehouse, they found that Odane had been promoted to the on-resort jewelry store. They learned how he was a self-taught musician, and he plays bass in the Mento band with his dad. The band performs twice per week on resort for the guests during dinner time. 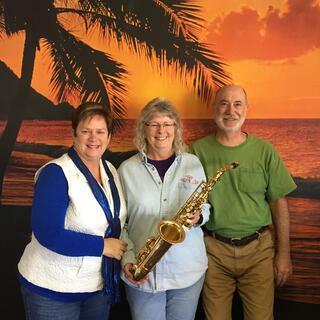 Don and Sue were highly impressed with his musical ability. After his shift one day he stopped in at his church to record himself playing the piano because they wanted to hear more of his music. During their conversations, Odane mentioned that he would like to learn to play the saxophone. 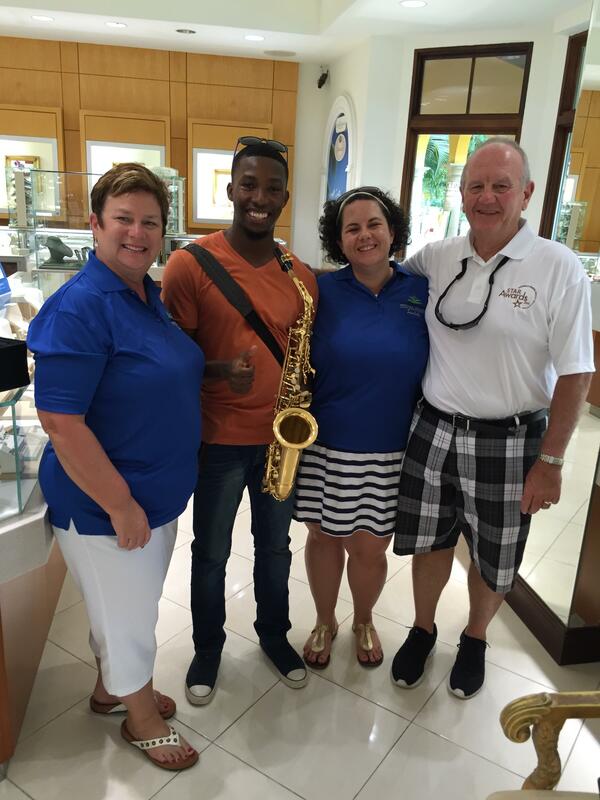 When they arrived home, Don and Sue decided to buy a saxophone for Odane. They came to my office to ask about shipping it to Jamaica. I knew this would not be an option as customs can be very complicated, and my first inclination was to tell them they’d just have to book a trip back to Whitehouse! Then I remembered that I would be headed to that resort for the annual Sandals Travel Agents Recognition awards shortly. So I offered to take the saxophone to Odane on their behalf. I am so glad I did. 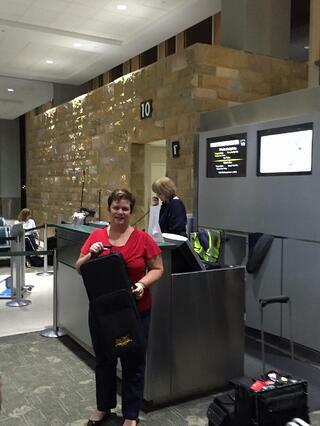 ... and I headed off to sunny Jamaica, saxophone in hand. When we arrived on resort for the STAR awards, our agenda was jam packed. We missed our first opportunity to meet with Odane while he was working. When we asked about his schedule we found he would not be at work again before our short trip ended. But his manager called him, and he graciously offered to come meet us on his day off. I immediately knew why Don and Sue had come to love Odane. He is a kind, gracious, appreciative young man. He is the epitome of the Jamaican culture - perpetually happy with a magnetic smile. I tell clients all the time that Jamaicans are the happiest people in the world. He was speechless. And overwhelmed with gratitude. What a special moment. I am so thankful to have been able to make this special delivery to Whitehouse. I told him to let me know once he learned to play his saxophone - clearly, it won’t take long! I can’t wait to book him as the saxophone player for my destination weddings in Whitehouse!! But even more so, I’m so happy to have another Jamaican friend. Here’s to you, Odane! Merry Christmas, friend. And to Don and Sue, thank you for your kindness and for allowing me to be part of this special moment.